The Allen College Student Success Office is dedicated to helping students succeed. The Academic Resources page was created to assist students in achieving academic success. Our aim is to partner with academe to enhance and support your total academic experience and to promote your academic achievement and retention. Assistance is available with time management, study skills, note taking, reading a text, writing, overcoming test anxiety, test-taking strategies, and other areas related to student success. Referrals are made for students requiring assistance with severe test anxiety and other needs not provided directly by the Student Success Office. In addition to the online resources that can be accessed through the Academic Resources webpage, face-to-face meetings with the Student Success staff are encouraged if you would like additional assistance in areas related to your academic success. For additional information, contact one of the Student Success Office staff members listed below. When you attempt to view the panopto recordings linked below, if the recording will not open in Internet Explorer, try using Google Chrome or Firefox to open panopto. Click open the panopto link, select UNI eLearning from the drop down box, and enter your Blackboard username and password to view the panopto recording. Numerous resources related to time management and the reduction of your stress level. Although oriented toward office TM, the principles will be beneficial for anyone who needs to improve TM. Offers you tips for using a study schedule to organize your time and get everything done. Explore this site for additional information related to time management and studying. Use the Assignment Calculator on this site to develop a step-by-step plan to tackle your writing and presentation tasks. Each step toward completion includes links to help you to master that step. This five-part video series (plus introduction) was created by Dr. Stephen Chew of Samford University to help college students learn how to make their learning more effective. This is an excellent resource if you want to improve your approach to studying. Principles of developing successful learning. Incorporating the principle of memory into your study to enhance your retention of material. Find a note taking method that works for you. This panopto will introduce you to a method of reading a textbook that will improve your retention of what you are reading. It may take a little longer to do your reading, but it is time well spent if you can retain the information. Outlines the steps of the SQ3R reading method. This 27-minutes webinar by Paul Nowak, the founder of Iris Reading, is a must-view if you are feeling overwhelmed by your textbooks and struggling to figure out how to comprehend and remember the material you are reading. The methods described follow the format of the SQ3R method and demonstrate how to apply the steps to technical/textbook reading, the use of highlighting and note taking, and the examination of diagrams and graphs. This Panopto will provide you with strategies for tackling those tough application/analysis level test questions. 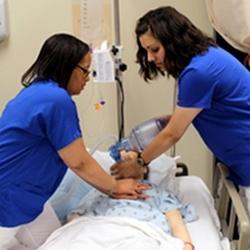 These videos were created for Nursing students by the Methodist College Center for Student Success and cover test-taking strategies and ways to prioritize your actions for questions that ask which patient you should see first. This webinar, produced by NRSNG.com, will provide you with hints to help you analyze questions, select the best answer, and avoid traps within the questions. Explore the NRSNG.com website for additional free aids for nursing students. General strategies for test taking as well as some rules for specific types of questions. This panopto will give you some strategies to combat the test anxiety that is preventing you from accurately demonstrating your knowledge. This guide was written for Praxis test-takers, but contains good information for taking any test. Reviews the common causes of test anxiety and how to deal with them. This website will help you with ways to reduce, prevent, and cope with the stress in your life. For information about free and confidential counseling services through the Allen Employee Assistance Program (EAP), see #7 under Allen College Resources below. Do you sometimes feel that you just do not have it all under control and your stress and anxiety level have gone through the roof? Your life as a student in a health care field is very busy and stressful. Maintaining your mental health is an important component of being a successful, happy student and a proficient future practitioner. This website offers you some practical advice about maintaining equilibrium and meeting the challenges of a healthcare education. Every time you read "nursing" insert your program name. Some of the resources mentioned by the authors are not available on campus, but there are often community-based substitutions. Please contact me for additional information or questions. The strategies presented in this panopto should be a part of your study skills if you are serious about your academic success. Videos and documents to help you improve your study skills and strategies. This site is a great resource for nursing and allied health. It contains organizational, learning, memory, and test taking resources. See the "How to Write and How to Study - by subject" area. Under Nursing, click on "Your Context for Success". Whether you are new to medication calculation or just want to brush up after not having had to use this for years, these practice quizzes will help you to feel more confident in your ability to set the problem up appropriately and arrive at the correct answer. The quizzes are numbered 1 through 7 and go from very basic (converting from one unit of measure to another) to progressively more difficult (mcg/kg/min). There is an answer sheet so that you can check your answers as you go. You may want to begin with the Review document for a quick tutorial on equivalents, rounding, and setting up a problem in ratio/proportion format. The tip sheet is a pocket sized resource for calculating drip rates of IVs. Resource for planning, writing, and revising college-level papers. Writing in college is a different task than writing in High School. This document will help you to understand the differences. Outlines a sequence to follow when starting and writing a paper with tips for how to gather and organize your sources. Contains other helpful guides as well. Excellent resource containing multiple handouts to help you with various aspects of your writing, including introductions, conclusions, and style. This document from the UW-Madison writing center will walk you through the step of formatting an adequate, successful paraphrase. It also contains information on what constitutes general as well as field-specific common knowledge-i.e., information that does not need to be cited. Be sure to read the entire document. This StudentLingo workshop will help you to avoid unintentional plagiarism which can result if you do not understand what constitutes plagiarism. Includes a discussion of what is considered common knowledge. Enter your name and click on the workshop title. This resource can be considered your complete guide to grammar and punctuation, confusing words (e.g., affect vs. effect), apostrophe use, and other topics. Although this guide is titles The Complete Guide to Resume Writing for Nursing Students and Alumni, there is valuable information for you, no matter what program you are in. If you have questions or would like some help with your resume, please contact the Student Success Office. The use of the English articles (a, an, and the) is often a challenge to student writers who are not native English speakers. The authors of this University of Toronto document did an excellent job of explaining the rules for using articles and added a quick-reference chart that you can use to review those rules as needed. English grammar rules can be confusing as well as frustrating. This guide will give you assistance in distinguishing between the use of similar words, such as can and may, and determining when to use the various verb tenses. Explore other parts of the website for additional information and practice quizzes. Writing resources for students for whom English is their second language. Ideal dictionary for English language learners. Easy to understand definitions and pronunciations. Handouts/Worksheets to assist with writing, taking notes, building vocabulary, using graphs, and other topics. This handbook has helpful advice on the topics of writing, vocabulary, speaking and email communication. Learn not only the meaning, but also the correct pronunciation of medical terminology. The Publication Manual of the American Psychological Association (latest edition) is required in all courses at Allen College and is considered the final authority should any questions arise about style and form. The manual can be purchased at University Book and Supply across from the UNI campus. There are also copies on reserve in the Allen College Barrett Library. The Manual is also available from APA.org or may be purchased in electronic formats online. This panopto reviews the basic rules for formatting a paper in APA style--including running head, margins, spacing, and font--and shows you how to change the default setting so that your documents will comply to these rules each time you open them. This panopto reviews the basics of citing your sources appropriately in APA format. This panopto reviews the basics of formatting the reference list and covers the more common reference sources. This document compiles the information contained in the three panoptos listed above. This guide identifies the most common APA-Style errors that your instructor will be looking for in your papers. Paying careful attention to these points will help prevent the loss of points based on errors in or lack of knowledge about APA style requirements. This should not be considered a substitute for your APA Manual; it is meant as a quick guide to some of the guidelines. Print a copy and refer to it often as you work on your papers. If you need additional help, refer to the parts of your APA manual referenced in the last column. This document will also be a handy guide for interpreting your instructors’ comments on your papers. Step-by-step guide to creating a running head that conforms to APA guidelines (for Word documents). This document contains postings from the APA Blog that give specifics of formatting an electronic source. It includes information about what to do if there is no author listed, when you should use a retrieval date, what to do when publication date and page numbers are missing, and other "problems." This handy chart is a quick guide for what you should do if parts of your reference are missing. Outlines what should be placed in each of the parts of the reference list. Make a copy and place it in your APA Manual. The Online Writing Lab (OWL) at Purdue University is a great resource for APA questions. This flowchart will help you to determine when to include DOIs, URLs, or database information for your reference citations and when to use the site's homepage URL. The Tip of the Week is a regular feature of the Student Success course in Blackboard (the eLearning portion of many of your courses). You should be enrolled in this course; contact the Office of Enrollment Management (319) 226-2014 if it is not listed in your Blackboard courses. The Tip of the Week will be in the announcements of this course and should appear every Wednesday or Thursday. These tips will cover a variety of topics, from common punctuation mistakes that I see in papers to how to reference a site that you found on the web to tips for time management and more. Check them out on a regular (weekly!) basis and let me know if you would like additional information on any of the topics. Student Lingo offers two workshops. One is entitled "Understanding and Avoiding Plagiarism" and should be viewed before you start your first writing project at the college. The information presented in this workshop will help you to determine if you are citing where necessary and whether or not you are paraphrasing adequately. The first time you use StudentLingo you will need to register by providing your first and last name and your allencollege.edu email. Create a password that is at least six characters in length and click Register. On the next page, select the workshop you would like to watch. The next time you go to StudentLingo, you will use the SIGN IN link and provide your email and the password that you created. TurnItIn can be used to check your papers for plagiarism issues before you submit them to your instructor. Student drop boxes for TurnItIn can be found in the Student Success course in your Blackboard account. Open the current Student Success course and click on the TurnItIn link on the left side of the page. When TurnItIn opens, take time to read the instructional documents. The drop boxes in the Student Success course are for your use as you work through the early drafts of your paper. Follow your instructor's directions for the submission of your final draft. TurnItIn is a tool to help you detect plagiarism in your written work; in is not a definitive indicator of originality or plagiarism. When reviewing your similarity report, regardless of the similarity index obtained, be sure that your review all of the matches identified by TurnItIn to assess whether or not you have paraphrased adequately and cited appropriately for each match. Due to the way that TurnItIn is set up, if you resubmit a paper after making alterations, you may have to wait up to 24 hours to receive the similarity report. Please plan accordingly. SafeAssign, a Blackboard plagiarism resource, and the Grammarly plagiarism tool are also available to you. Neither of these resources are as robust as TurnItIn and will not detect as many matches as TurnItIn. Their data bases consist primarily of internet sources. TurnItIn is your best option for plagiarism detection. NetTutor provides you with writing tutoring and subject-matter tutoring for many of the classes that you will be taking. You have the option of synchronous or asynchronous tutoring. In a synchronous/live tutoring session you will connect one-on-one with a live tutor to answer your questions about your paper or course content. Upon your request, the tutor can activate audio and video, otherwise you will communicate by texting. With asynchronous help, you will receive a response within 48 to 72 hours, depending on the availability of tutors and the number of students seeking assistance at that time. Certain times of the semester, such as midterm and the final weeks of class, may have higher usage and require longer wait times. Please plan accordingly. For information on how to access and navigate NetTutor for tutoring assistance, please go to the NetTutor Landing Page. The tutors have hours of availability five to seven days a week. If you open NetTutor and see a message that the tutor for the content area you have selected is not available at the current time, click on the calendar icon that is located near your name in the upper right-hand corner of the page to view the current tutoring schedule or go to NetTutor Tutor Schedule. Grammarly.com is an automated grammar and punctuation tutor and revision tool for academic writing. After uploading your draft, you will receive immediate instructional feedback on over 100 points of grammar and some punctuation. The first time that you use Grammarly, click on Join Your Organization in the upper right corner and fill in the requested information (Name, Allen email, password). Using your @allencollege.edu email will give you access to Grammarly free of charge. If you are asked to purchase the service, you are on the wrong website. You will receive an email containing a link that you will use to activate your account. The next time you sign in, use your email and the password that you created. Grammarly can also be added to your computer if you would prefer to have the advantage of receiving real-time correction suggestions as you write rather than submitting the document to Grammarly after writing it. For access to Grammarly's plug-ins and extensions, please click here. job/school-related issues (stress, work conflicts, etc.). No one lives a life without problems. When you face challenges or concerns in your personal, home, or work life, EAP can be an important source of support for you. You do not need a referral to contact EAP; simply call to schedule an appointment or to request additional information about their services. When you call, identify yourself as an Allen College student. For contact information and office hours, please visit the EAP website at https://www.unitypoint.org/waterloo/employee-assistance-program.aspx. This free and confidential benefit is available to you and your immediate family members while you are a student at Allen College. In addition to face-to-face sessions, virtual appointments are available via smartphone, tablet, or computer. Contact the Allen College Student Success Office for assistance if you are experiencing any academic difficulty or would like help developing or improving the skills that you need for success. Feel free to call, email, or drop in if you have concerns. Contact information is found above. The Allen College Student Ombudsperson provides a safe, confidential place for students to be heard and to receive impartial attention without the fear of loss of privacy. Please click on the link to learn more about reasons you may wish to contact the Ombudsperson and what you can expect. If you are interested in seeking academic accommodations, please see the Academic Accommodations for Students with Disabilities policy. If you wish to have special accommodations for your licensure or certification exam, you may need to show that you received those accommodations while you were completing your course work. Such proof is required for the NCLEX-RN; for your specific certification/licensure, check with the issuing organization for requirements.